There is a hidden Jem in the dark side of town. Well, actually it’s in a shopping center that’s on State Road 84 in Fort Lauderdale. The actual location is 913 State Road 84, and it’s in the same shopping center as Slacker’s. They say that the more you can NOT understand the accent of the restaurant cooks and staff the better the food is. 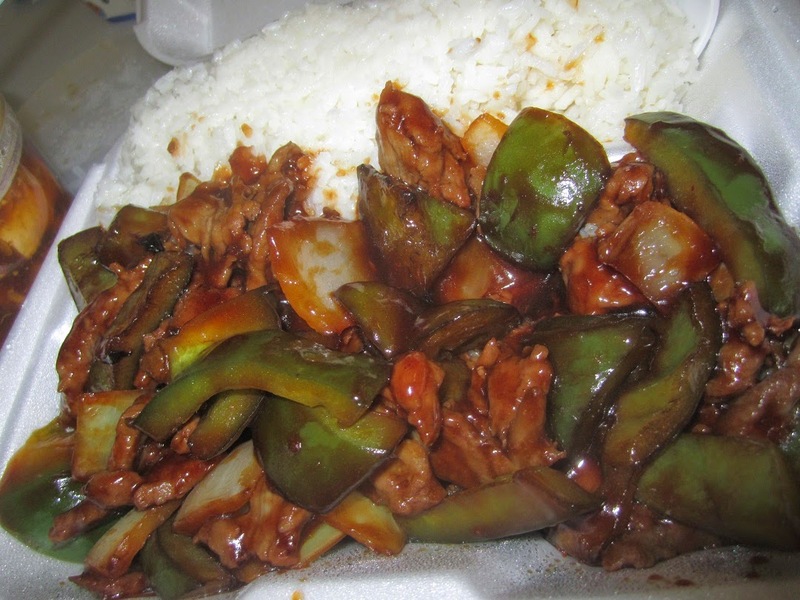 Ruby Chen’s is a simple hole in the wall easily overlooked Chinese takeout restaurant. Well actually it has about 6 tables inside so you could eat inside. Scratch that, you SHOULD eat inside just for the surreal experience of watching the people come in out. The food here is cheap and way good. It was an accidental discovery for me. I had a few meetings before work and I needed lunch, the shopping center is close to my job and so I thought I would stop there for some quick food. Fast food is generally never good food except in the case of Chinese fast food. The lunch special pricing here is very good as well. Yummy and mysterious Hot and Sour Soup! But what I found that was excellent was the hot and sour soup. Made without pork, its chock full of goodness, including lots of mushrooms, tofu, and the rest of the magical mysterious ingredients. It has to be one of the best hot and sour soups I have had to date. The main entre was fantastic too, pepper steak with peppers and onions. So to all you lunch breakers and quick dinner getters, the best take out Chinese place in Fort Lauderdale is no longer a secret. The side trip – almost next door to Ruby Chen’s is a Beal’s Outlet store. Normally they have nothing of note, but on this day, my first trip to the restaurant, I stopped in and found three vintage style/Latin style shirts by Cubavera. At just $10 they are a steal and even on a bloggers limited budget I can afford that… Good food and good style is the surprise that can make anyone’s day.